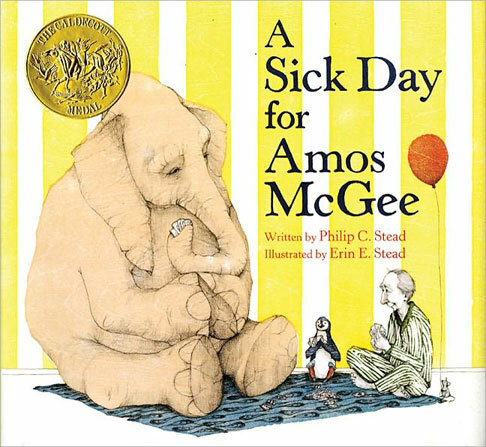 Erin Stead uses her book trailer to demonstrate the medium she used — woodblock printing, combined with pencil sketching — when preparing the illustrations for her Caldecott-winning book, A Sick Day for Amos McGee. Text was custom-written by her husband, illustrator Philip Stead, with Erin’s distinctive art style in mind. You can see both of them at work in their shared studio. The collaboration continued as work progressed. Youtube.com has become an invaluable media resource for promoting books. Some of us got wind of the Caldecott winners that way, via two irreverent-yet-highly-literate rodent children’s book reviewers from Rat Chat Reviews. Here’s a book trailer for the Caldecott Honor book, Interrupting Chicken, written and illustrated by David Ezra Stein. 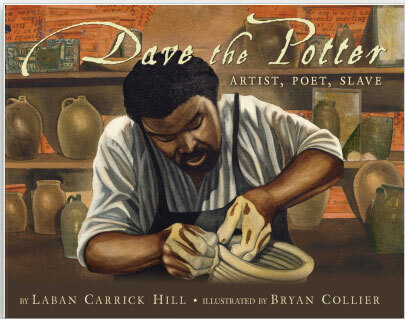 Bryan Collier discusses art materials used in creating his earth-toned multimedia collages for his Caldecott Honor book, Dave the Potter: Artist, Poet, Slave, written by Laban Carrick Hill.